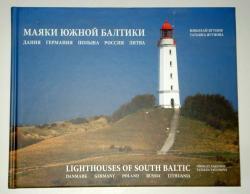 As the new Europe Representative of the ALK, I will share lighthouse news from my area with you. Of course, this means that Dutch lighthouses will be an obvious choice for me to write about. And I plan to introduce you to some of my favourite Dutch lights. This first time, I would like to take you somewhere else though, to Russia. Last year I spent two weeks in June in St. Petersburg and in November I was back for a short visit to both Moscow and St. Petersburg. You must understand that lighthouses of course, were not the main aim for my visits, although there are a large number of lighthouses to be found, for instance near the island of Kronstadt, which is not far from St. Petersburg. Unfortunately, you cannot reach most of these lights, because they are situated in restricted access locations. I still tried to include some lighthouse touches into both trips and succeeded in doing so (if only just). St. Petersburg has two identical "lighthouses" right in the city centre, situated on either side east of the Vasilievsky island, where the river Neva splits into the large Bolshaya Neva and the small Malaya Neva. The two terracotta coloured beacons called Rostral Columns were built by architect Jean-Francois Thomas dc Thomon in 1811 to resemble Roman style victory colums and are decorated with anchors, allegorical figures and prows ("rostra") of ships. The large bowls at the top of the columns were originally designed to hold hemp oil for burning. In the 1950s, the columns were connected to the gas supply. On holidays (such as Russian Victory Day and New Year) the top of the columns carry seven-meter­high flames. Even though I missed this fiery spectacle, the location of these beacons opposite the Winter Palace and the Peter and Paul Fortress is, nevertheless, very impressive. 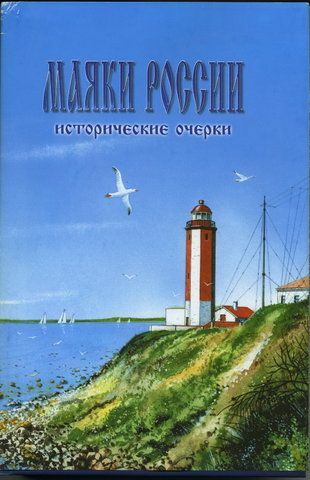 A year or two ago Frans la Poutre, the former ALK Representative in Europe, distributed information on two Russian lighthouse books: the first one "маяки россии исторические очерки", published in St. Petersburg in 2001, is a standard work on Russian and former Soviet lighthouses, their location and history; and the second book "маяки южной балтики" by N. Yagunov and T. Yagunova (Kaliningrad, 2011), is written in both Russian and English and therefore also titled "Lighthouses of South Baltic". Anyone who was interested in buying either book, could email a Russian contact and arrange to acquire the books. I was intrigued by this offer, but thought it would be too complicated to handle this myself. Nothing could be further from the truth, when last year I finally plucked up the courage to send an email to this Russian contact whose name is Vasily Korablev. I found out that the books were still available and that the only "problem" would be to have the books sent to Amsterdam, adding extra costs to the already expensive books. Russian books. "маяки россии, исторические очерки" holds about 500 pages of Russian text and few photographs. With my basic knowledge of the Russian language, I am definitely going to give it a try. 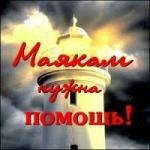 Vasily, if you read this: Thanks for your help. Best wishes from Amsterdam.